Yesterday was a pretty good day for the Falcons. In fact this has been a great week for the Falcons. First we re-sign William Moore and Sam Baker. Then came the one we been waiting for, Tony G comes back. At the end of the season he said he was 95% sure he was going to retire. During the season he was 99% sure. After the way we lost, I knew he was coming back. The biggest surprise of them all has to be Jackson joining the Dirty Birds. It was said that the Falcons had been in talks with him for about a month. We was sure that we was front runners.He was on NFL 32 and said "The Falcons are a good running back away from winning a Superbowl". Sounds like he was coming to the team right? After FA began reports started coming out saying that Green Bay is stepping to the table. Then it went from "stepping to the table" to "The leaders". I was going crazy. It got to the point where I, like the rest of everybody was just waiting for him to sigh with them. 2 days later I get on facebook and what do I see. 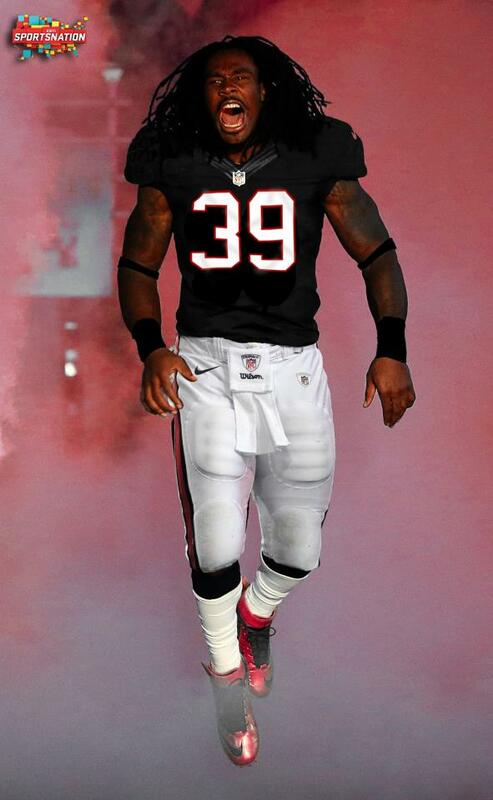 "Steven Jackson Joins The Atlanta Falcons". My head just started to rush with how many weapons the offense has now. Matt,Tony,Julio,Roddy,Harry and now you add Steven? Oh my god. It's game time folks. Rise Up!